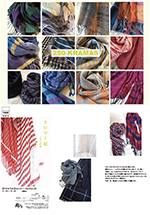 "krama"knyong's new and basic krama are introduced and sold in this exhibition. Wakana Morita in Store sometime. 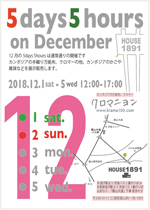 We open our space "HOUSE 1891" on this March. 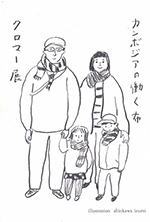 At the same time we hold Arita-yaki workshop on 1st,2nd. "krama"knyong: Cambodian krama and Cambodian tools & baskets. 250pcs of "krama"knyong's krama are introdroduced and sold in this exhibition. "krama"knyong's krama and Cambodian baskets and tools are introdroduced and sold in this exhibition. 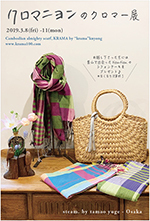 "krama"knyong''s krama are newly updated on online shop.We are holding spring campaign now! If you purchase over 5000 yen (tax included), you will get Cambodian coffee(30g)! 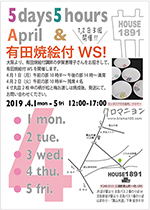 We open our space "HOUSE 1891" on this March. 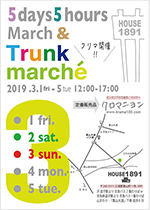 At the same time we hold "trunk Marche. 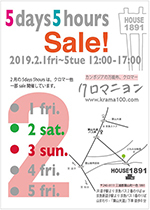 "krama"knyong's online shop hold spring sale as well! All krama and goods will be 20-60%off! The first 5 days 5hours in 2019 is held as usual. HOUSE 1891 sells Cambodia's hand-woven krama, Cambodian tools and baskets, select artist's accessories and others. Krama on sale. We open our space "HOUSE 1891" on this October. *5days 5hours of January 2019 will be closed. Copyright© 2008- "krama"knyong all rights reserved.